Happy 128th birthday Wyoming! You don’t look a day over 100. The Wyoming Territory became the country’s 44th state on July 10, 1890. We thought we’d give you a few fun facts about the area to commemorate this historical day. We’ve got plenty of room here since we’re the 10th largest state in the country, yet the least populated. The retail chain J.C. Penney was founded in Kemmerer and is named after one of the founders, James Cash Penney Jr.
President Theodore Roosevelt made Devils Tower the first official National Monument in 1906. Women living in the Wyoming Territory were the first in the country to be given the right to vote in 1869. Fourteen Native American tribes make up the Plains Indians. The tribes are: Arapaho, Arikara, Bannock, Blackfeet, Cheyenne, Crow, Gros Ventre, Kiowa, Nez Perce, Sheep Eater, Sioux, Shoshone and the Ute tribes. Cody was named after Colonel William Frederik “Buffalo Bill” Cody. Yellowstone became the first official National Park in 1872. Grand Teton National Park masqueraded as the Soviet Union in “Rocky IV.” The farm where Rocky trained was in Jackson Hole. Wagon traffic in the 19th century was so heavy that ruts still exist along the trail that traverses the state. 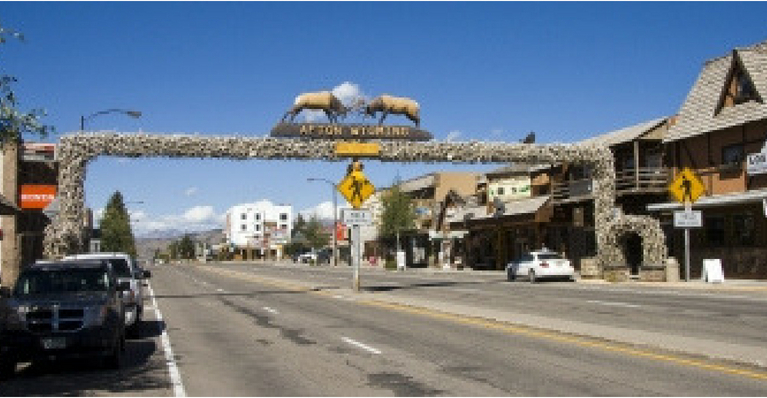 The town of Afton greets you with a 75-foot arch that spans the town’s main street and is made of 3,011 elk antlers. Now that you’re a little more familiar with the Wyoming, come see it for yourself.